Every limestone tile you see here has been chosen from the high quality Ionic Stone range – they all offer great choice and great quality. Another classic, this tile has a tumbled finish which is a subtle variation of its 'sister' limestone tile which is brushed. 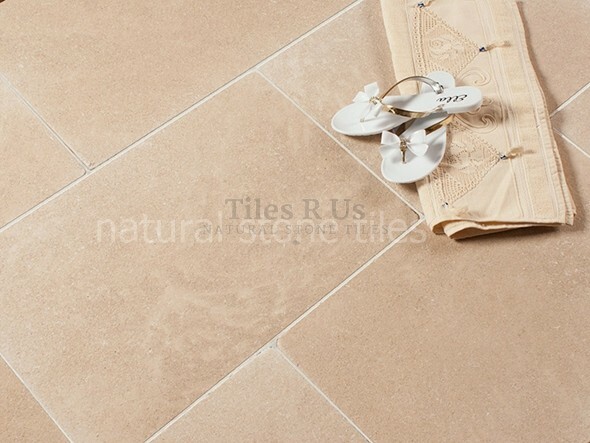 Now we have the beautiful tumbled finish as well featuring a warm beige colour and of course that traditional tumbled surface, these tiles will be a perfect addition to your property. Tumbled tiles add great depth to your floor, the 'rough and pitted' surface with naturally 'broken' and rounded edges and corners adds that touch of ancient traditional flooring, natural stone at it's very best. It is the process used that gives this tile its character - the tiles are vibrated & tumbled with small abrasives to produce just the right aged appearance. There might be slight variations in colour, but veins and other patterns are generally absent.